King Industry experience's are Global from Germany to France to Italy to Ireland to Middle East to the United States to Mexico and currently Mainland China. And are from IT/Computing to Design Engineering to Chemical and process manufacture to Environmental to Retail Sales, to Entertainment to Cultural and Humanitarian... Within the sectors are broad ranged of hands on experiences from Creation to Sales and Marketing to Principal Investor. 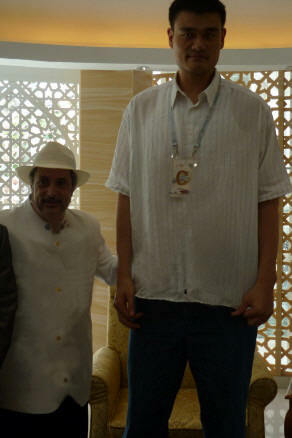 Mr. King for the last 18 years is a renowned strategic new media advisor to global conglomerates. Specializing in the facilitation of the worldwide business of entertainment, for feature films, television, music and new media. His expertise crosses between traditional production-distribution to the cutting edge and back again. He continues to furthered strategic alliances from international technology partners in broadband entertainment including rapidly expanding broadband wireless and the Burgeoning HDIPTVbusiness. World EXPO 2010 "Expo Joy-Stars" is a key activity of Expo organized by Shanghai Expo Bureau, CCPIT, Ministry of Culture and the State Sports General Administration. The activity is initiated by Jackie Chan, Lang Lang and Yao Ming with the support from hundreds of Chinese and global celebrities, who have answered society’s call to support the needs of the world’s children. May 2010 China Launch of the world's number one Chic Sport Fashion House " dimensione Danza of Italy " has reached over one billion ad impressions from Fashion TV networks to the CCTV coverage and airing of the TV special Chinese New Years Night 2010 ...it is being submitted to Guinness World Records. 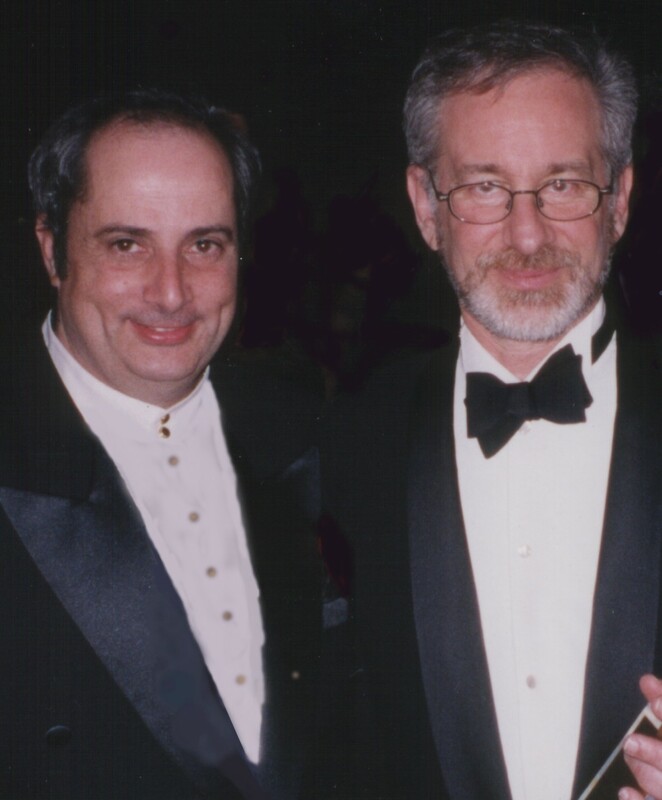 King is well known for Merging Hollywood and New Media; producing the Steven Spielberg's DreamWorks-GM Hughes event as well as the premiering the first film to DVD at the Venice International Film Festival, establishing him as a leading proponent of DVD. Additionally, his keynote address launched the Venice Film Market and gave great awareness to the filmmakers' role from DVD to Digital Cinema. 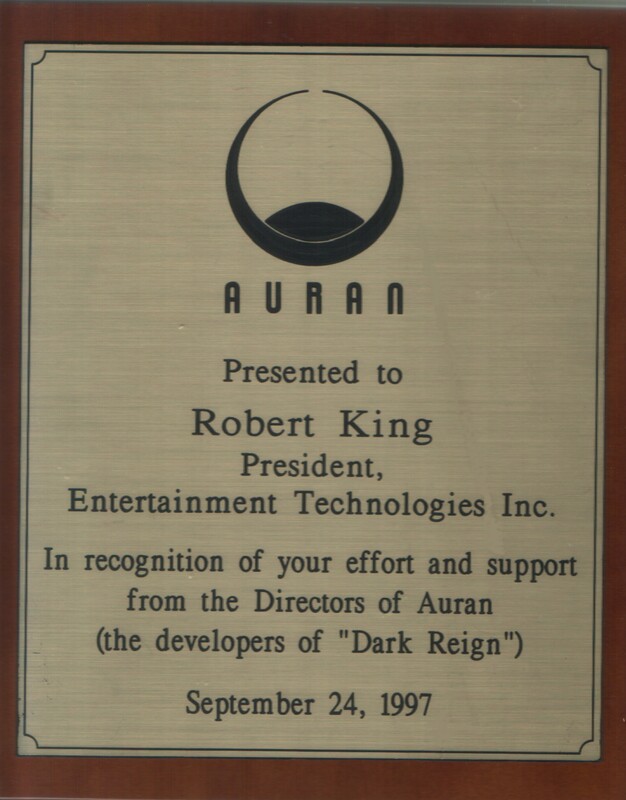 King was actively involved with Activitison first foray into multi-player games with Dark Reign and was presented with a commemorative from Auran it's Developers. King is a recognized speaker on New Media and Digital technology and is a founding member of The International Association of multi channel music (IAMM) along with Tom Holman, the inventor of George Lucas's THX sound, He was a key panelist with Tom Dolby and Tom Holman as to copyright and Digital rights protection. King has had guest appearances on Broadcast TV world wide from FTV Networks to China CCTV and appeared in hosted interviews with Sophia Loren, Sharon Stone, Sophia Milos, Top Model China Lulu Huan, Ms.Ukraine Larysa Poznyak King is on News outlets worldwide ,Wire Image to Getty Photo to China's Sina, Badiu Robert King also now appears on several www.StyleLA.tv IPtv shows with interviews from Jay Leno , Elton John, Paul Allen, America's Idol Randy Jackson, from his presentation and ribbon cutting in Beijing China www.luluhuan.com and Captains of Industry Like Paul Allen Co-Founder of Microsoft the founder of Gateway Jim Wyatt, International Business leader and Real Estate Investor David E Walsh in Summer 2010 reprises " you are funded " Reality TV for the business minded. Robert King was actively involved with award winning British Film maker Simon Channing Williams for a period in Britain and the USA in New Media and Digital awareness. Robert King has produced many segments and been involved with International Business development in collaboration with the world's foremost brand in Fashion TV on Air and on line www.FTV.com in 200 countries reaching over 2 billion having added CCTV distribution ( CHINA) the world largest TV distribution channel. Robert King created and coined the Traveltainment brand and launched the Television Networks premiere production and in 1999 served as the Director and Creative Producer of the Travel Awards in London, attended by many of the world's leading travel industry Executives as well as many celebrities including Infonueuer and Executive Producer David E Walsh ,Nigel Mansell, Leo Sayer, The Drifters, Edwin Star and the Artist Formally known as Prince. 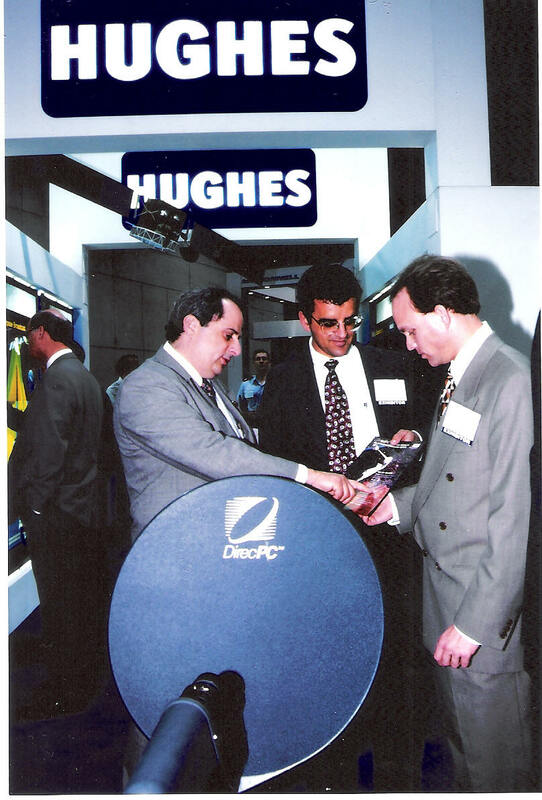 This was both a TV broadcast, and Early stages of Interactive and IPTV. 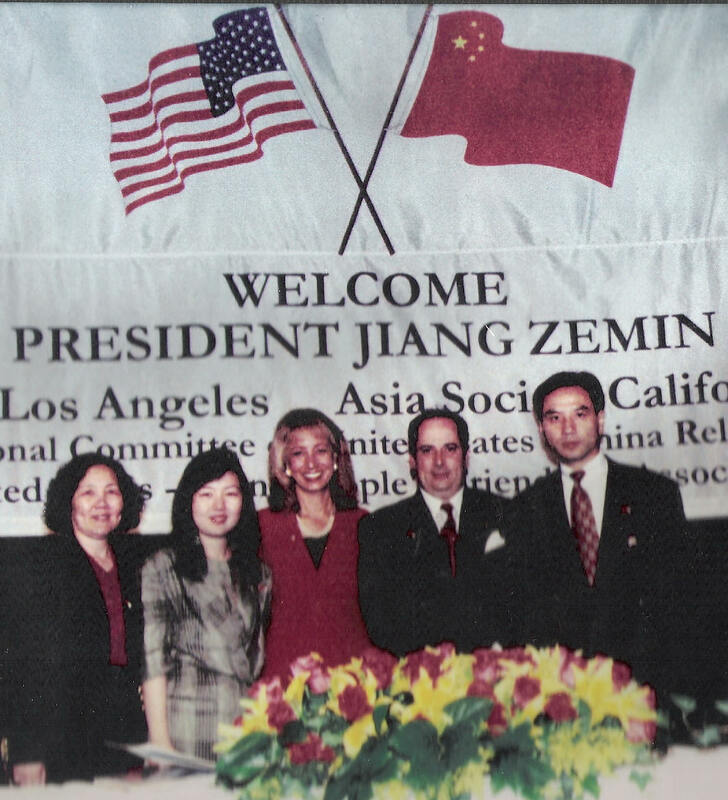 King was also the new media producer for the Première of the Cyber-Net Live Worldfest, featuring the alliances of many cutting edge technologies. 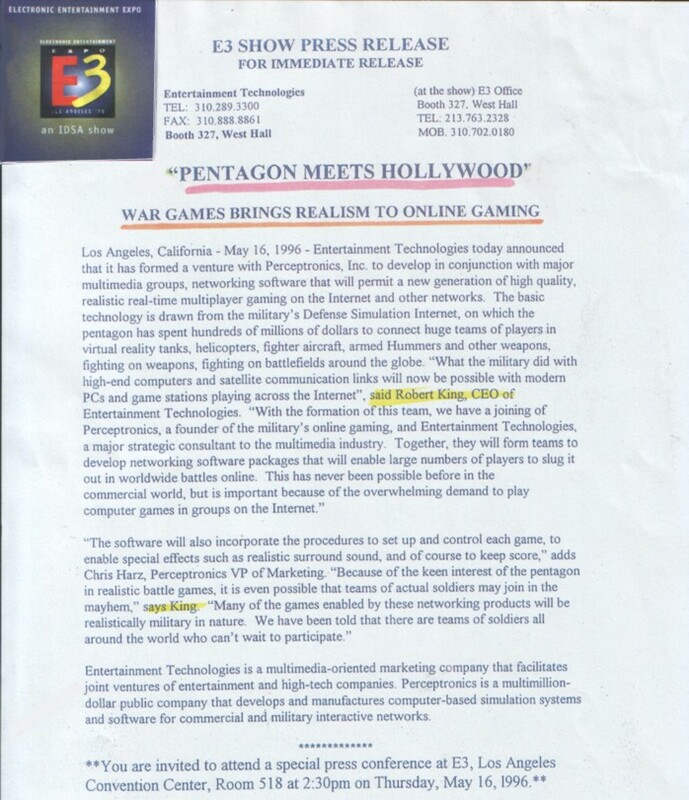 The event was sponsored in part by Variety, Earthlink, Yahoo, GoTo, EBay, PlayStation, and celebrated the Internet's 30th birthday. And honored the founder of the IP Internet from UCLA, Dr. Kleinrock. 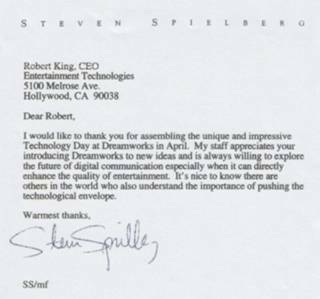 King also produced New Media ventures with Toshiba, Time Warner, Venice International Film Festival, Hughes GM and Dream Works with Steven Spielberg and Night of 100stars. While being active in the Americas cup King got to introduce News Corp's Rupert Murdoch to among his first experience of a live internet chat with the now late Yacht skipper Peter Blake as they witnessed together Peter " text chatting " with his fans from New Zealand thru a Delphi connection in San Diego at the media center. Robert King had personally campaigned to US Pres William Clinton, Mayor of Los Angeles Richard Riordian and the Calif Governor as to being the " first Secretary of E Commerce " this came as a result of King introducing a New Media campaign to the then running Governor. 2000 King's much talked about company launch with "World One Networks" , well known TV Producers Harry Thomson, Alan Ladd and Brown in which King was made President of Broadband of " WON " company had an expected feature film slate STARS included Billy Bob Thornton, Burt Reynolds " Crossing the Bar" and video library acquisitions including many titles from Hearst. 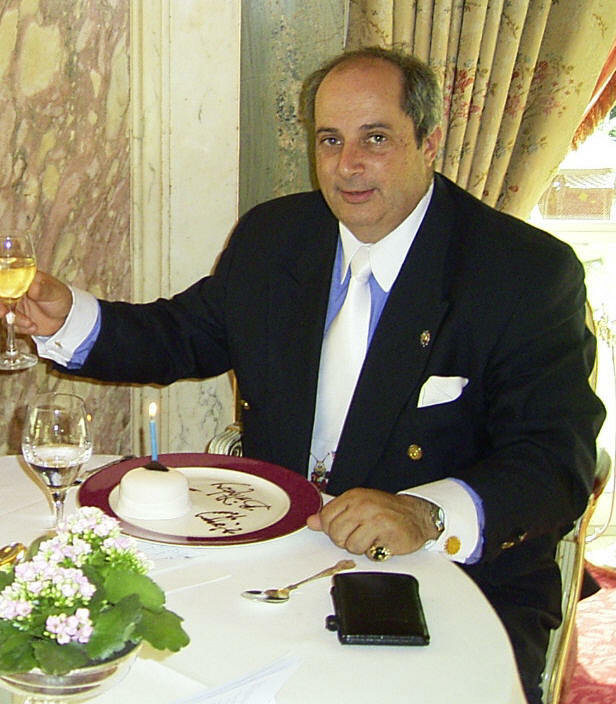 1988 include Robert King 's consulting in the beginning of the First commercial enterprise of the Internet " Infonet and France Telecom's - Minitel USA. In 1984 famed Producer W Stark contracted with King for a slate of feature films including the " Petrified Prince " written by Ingmar Bergman. Robert King over the many years has and is active in many charities and philanthropic endeavors, he founded the educational Radio station WXBA which for 40 years has been a beacon in Long Island for students as they enter the entertainment industry also serving Educators and millions of listeners. King was a Boy Scout and then became a Scout Executive. He was involved in support of the AJC/ Honoring Steven Spielberg to Whitney Houston/ Michael Bolton Foundation, Friends Helping Friends, (the NBC Hit show Friends cast), and the Southern California consulting center charity having launched the Wallis Annenberg Award. King makes financial contributions to RTFD, Artists Rights Foundation now the Film Foundation, Best Buddies, Oceana, Black and White Police Ball, and others.
" The ABC's of new media are the Artists Broadcasting to the Customer "